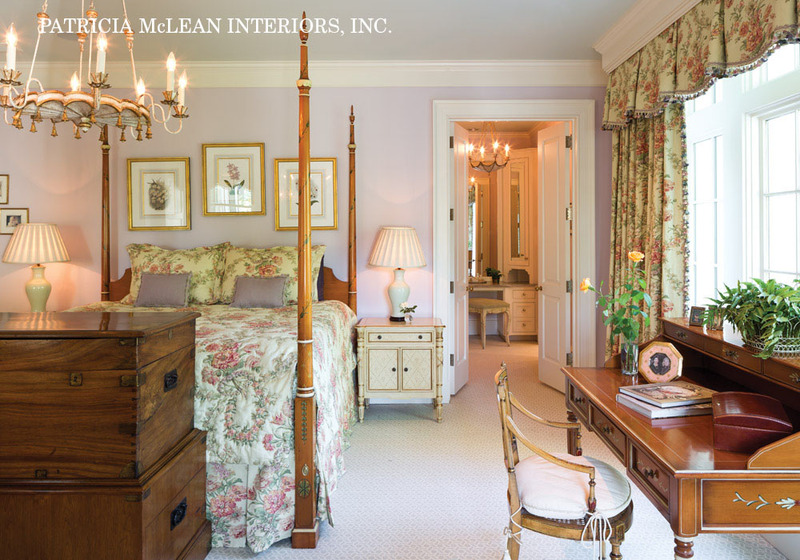 Brookhaven Residence — Patricia McLean Interiors, Inc. The architecture, planning and construction of this family home took two years from conception. 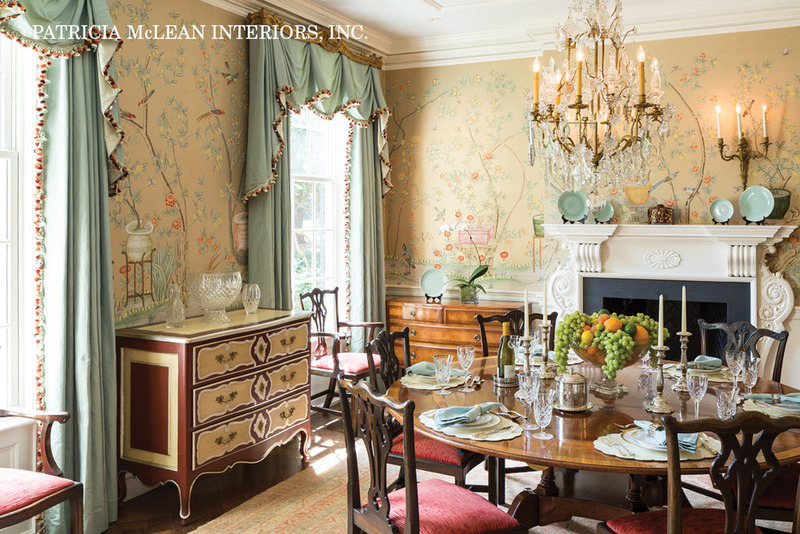 The clients had hired Patricia McLean for two previous houses. The finished project won a Shutze Award for Residential Design in collaboration with D. Stanley Dixon Architect and Bonner Custom Homes. 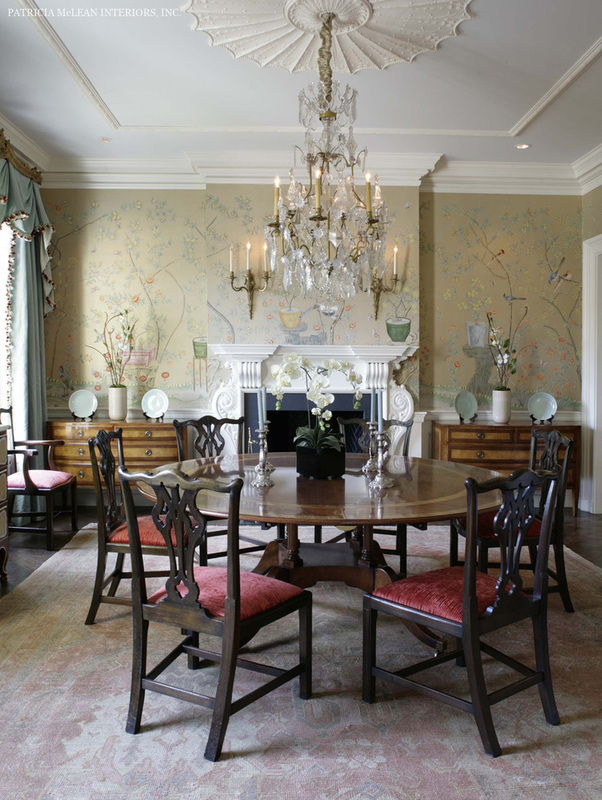 The dining room is featured in the de Gournay of London worldwide catalog for its hand-painted mural design on silk panels that encompass the room. 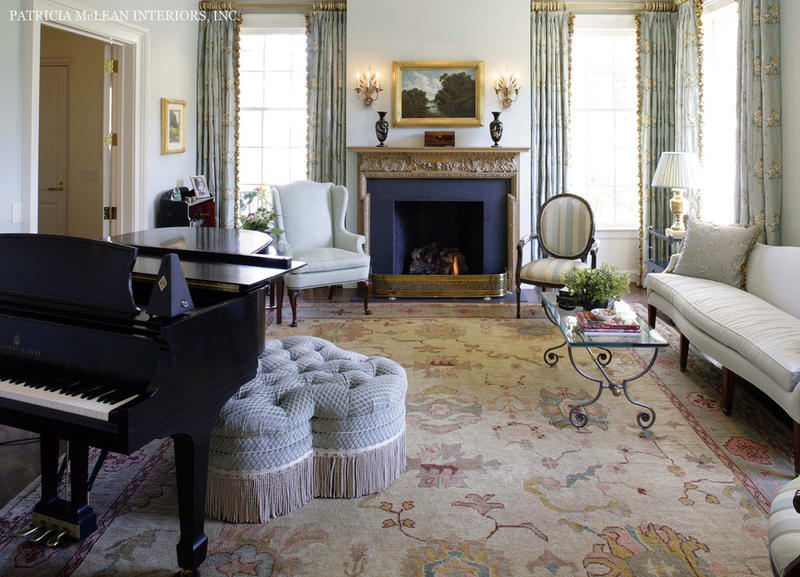 The furniture, fabrics, window treatments, antiques, architectural elements, antique rugs, mantles, lighting and specialty flooring make it a truly unique and special project.